Graham joined CASS in May 2017 and is studying management. He first heard of CASS through fellow employee Dria Rock and was interested in not only applying business skills to software development, but also participating in work he felt was meaningful. In the future, he hopes to launch a game/open-source company and is part of the Entrepreneurship Club and the OSU App Club. 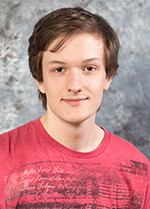 Sebastian joined CASS in June 2018 and is majoring in applied Computer Science with the Bioinformatics option. He’s interested in Computer Science research, but he joined CASS to work in a team and gain industry programming experience beyond what is taught in the classroom. Outside of work, he enjoys programming his own projects, writing, reading, and making video games. Reese Benson was hired in October 2018 as a CASS Student Developer. He is an Applied Computer Science major with a minor in Visual Arts. He hails from El Dorado Hills, California, and enjoys working as a developer at CASS because it is a job that allows the opportunity to challenge himself and build up a resume. Reese likes front end work because he can apply his technical and artistic knowledge—he has been making animations since he was 10 years old and loves to draw. Reese’s goal is to work as a software developer in the animation or entertainment industry. Jason joined the Open Source Lab part of CASS in April 2018 and is studying computer science and mathematics. He joined the lab to work with open source projects and gain a better understanding of how software is deployed at a large scale. During his free time, he likes to watch various sports, including basketball, football, and soccer, listen to Air Traffic Control, and program. He hopes to work in a software engineering-related field after graduation, but if that does not work out, he might go fly planes instead. Brennan joined CASS in May 2017 and is studying physics and computer science. He first heard about CASS at the OSU App Club through fellow employees Rikki Gibson and Rob Mac. He particularly appreciated scheduling flexibility and its on-campus location. His interests lie in projects that require a great deal of math and physics with visual results. In his free time, he enjoys reading, playing video games, and personal engineering projects such as game development, desktop apps, and robotic projects. 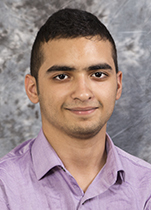 Mohamed joined the OSL in March 2017 and is studying Electrical and Computer Engineering. He is is excited to develop his knowledge about open source software during his time at the OSL. He is also interested in operating systems and contributing to the Linux Kernel. In his spare time, Mohamed likes to play soccer, video games, and read. Chethan nag Garapati Joined CASS in October of 2018 as a Student Test Engineer. He is majoring in Computer Science and is from the southern part of India--a state called Andhra Pradesh. Chethan joined CASS to get experience by working on real projects to boost his career in software. He is a certified Java programmer and also good at developing mobile Apps. In his free time, Chethan enjoys playing video games such as GTA V, Pokémon games on Nintendo game console, and going on long road trips. McKenzie joined CASS in May of 2018. He is a Computer Science major with Applied Sim and Game Programming. He is from the small town of Dallas, Oregon. CASS seemed to him like a perfect opportunity to obtain real-world experience while learning and enhancing his skills in a flexible, student-oriented environment. He loves working on anything with practical, tangible results, and enjoys challenges that allow him to make use of problem solving skills. He has skills in C++, Java, writing, and algebra, and wants to work as a game programmer after graduation. During McKenzie’s free time he is usually playing video games like The Last of Us, and listening to music. He also like to travel, to cook, and enjoys spending time with family and his dogs (mostly the dogs). He also dabbles in a bit of hobbyist game development and belongs to the VR/AR Club. 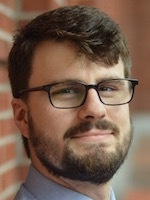 Taylor Griffin has worked as a Student Developer for CASS since November 2018. 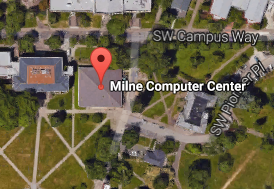 He is a Computer Science Systems major from Portland, Oregon. He enjoys low-level programming and embedded systems and claims to have an “unhealthy Obsession” with Raspberry Pi’s. In his spare time, Taylor enjoys running, being outside, playing Super Smash Bros, and he belongs to the Engineering Leadership Academy. His goal is to explore new cultures outside the US after graduating. 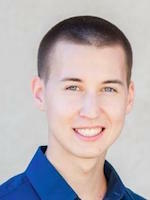 Evan Horne began working as a Student Developer for CASS in June of 2018. 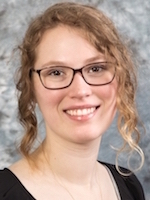 Marika Huffer joined CASS in December 2018. She is a majoring in psychology with a minor in music performance. She is originally from McMinnville, Oregon, and decided to apply for CASS Analyst because it was a good opportunity to expand her work history in a completely new field. In her spare time, Marika teaches flute, works on bikes, and experiments with various fermentation projects. She also plays tennis and participates in the Corvallis-OSU Symphony Orchestra. An amazing fact about Marika--she can play over 10 different instruments! Derek was hired in June of 2016 and is studying electrical engineering. He joined CASS to gain experience in a collaborative work environment and work in software development. He likes working on back-end development and one day hopes to be a signal processing engineer or a robotics engineer. 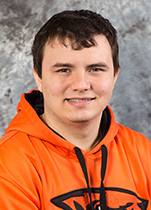 He is a member of the OSU Robotics club and enjoys hiking, playing video games, flying drones, and biking. Shreyans joined CASS in May 2017 and is majoring in applied Computer Science with minors in Psychology and Writing. He has worked on various projects at CASS for ODOT, and joined CASS to get some more real-world job experience. Outside of work, Shreyans' hobbies are hiking, writing and performing standup comedy. Lindsey started with the CASS Test Lab in April of 2018 and is studying Computer Science. She joined CASS to gain experience working on a variety of projects while accelerating her learning outside of the classroom. She is excited to expand her knowledge and explore many different areas of the field. In her spare time, she enjoys hiking, skiing, reading, and playing tennis. Hunter joined the OSL in March 2018 and is studying applied computer science with an emphasis on video game and simulation programming. He overheard a classmate talking about applying for CASS, and did some research on the OSL, which he found to be interesting. He hopes to learn more about the inner workings of GNU/Linux operating systems and security. He enjoys both CLI and graphical programming, hiking, biking, and the occasional unicycle ride through campus. He also has two pet rats: Calvin and Klaus the Mouse. 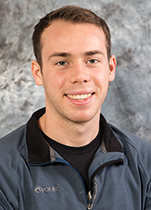 Brooks joined CASS in December 2016 and is majoring in computer science. He first heard about CASS from a friend and applied in hopes of gaining experience in coding and developing in a professional environment, away from class. He likes planning a project and anticipating problems. In his spare time, he enjoys skiing, hiking, biking, and cooking. Hoang Nguyen is majoring in Computer Science Systems and was hired as a Student Developer in October 2018. He enjoys being at CASS for the experience of working on real programming projects. In his spare time Hoang likes to watch YouTube, play chess, and play Desperados 1 or Civ 5. He can also juggle. He has the most experience in C++ and Java languages so far, and hopes to work as a software developer in his future. Josie O’Harrow is a Student Developer who began working at CASS in October 2018. She is a Computer Science Major from the small town of Banks, Oregon. Josie enjoys working with regular expressions because it involves finding patterns and organizing information. She belongs to the Society of Women Engineers and enjoys ultra-running and quilting in her off-time. She plans to program for her future because she loves writing code, but hasn’t narrowed down a focus yet. 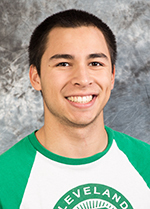 Drew Ortega began working at CASS as a Student Developer in October 2018. He is a Computer Science Systems major who likes Open Source Software, and making the connection between classroom learning and real industry work. His interests include backpacking and music--he plays the piano, alto saxophone, and can even play two recorders at the same time. Drew’s long-term goal is to work as a developer in cyber security. 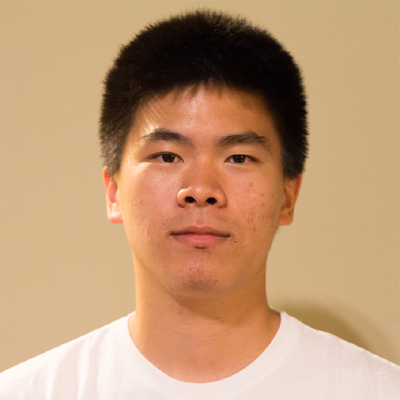 Henry started working at CASS in May of 2018 and is studying Computer Science. He joined CASS because it seemed like a great student-oriented place to develop real-world skills and apply the things he is learning in class. He loves to customize his computer desktop. He alos enjoys reading books, running, playing board games, astronomy, playing video games like Pajama Sam 2: Thunder and Lightning Aren't So Frightening, and organizing his file system in his spare-time. He sees a very specific future in the Pacific Northwest in a small house with 2-3 cats, working in software and contributing to open source projects in his spare time. Dria joined CASS in June of 2015 and is studying Computer Science with an applied option in Human Computer Interaction. Dria's brother used to work for CASS as it was first starting and she was originally hired as a Testing Engineer. Since then, she has gained a great deal of professional experience in development and working with real clients and projects. In her free time, she enjoys playing music on 10 different instruments and spending time outdoors. Bailey first got into software development working at the Open Source Lab last year. Now, after an internship-filled six months, he is ready to step into his next job at CASS starting September 2018. Bailey is pursuing a degree in Computer Science. In his free time, Bailey loves to hit the pavement on his bike, or play Super Smash Brothers melee with his room mates, or just about anybody. He also loves tinkering with his computer and reading some fantasy novels. 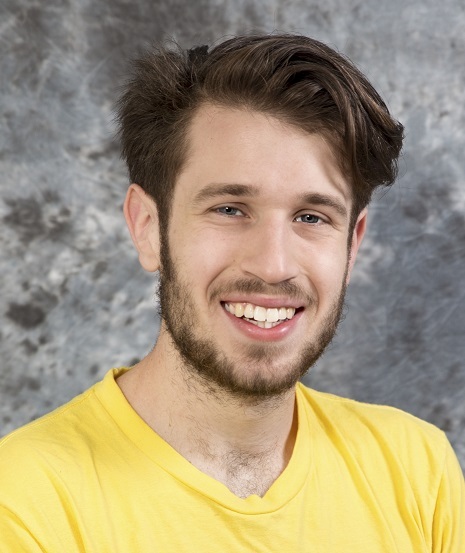 Jonah Spencer began working as a Student Developer for CASS in May of 2018. He is a Computer Science major from Oakridge, Oregon. He likes working at CASS for the people and the ability to work as a full-stack developer. In his off-time, he might be found in a nice coffee shop working on projects, or out in nature. In the past, he has competed in FPS video game competitions but prefers the old-school game of Cribbage. For his future, Jonah would like to work as a software engineer with large-scale, cloud-based applications. Nathan was hired in April of 2016 and is majoring in computer science with an computer systems option. Nathan joined CASS specifically to improve his software development skills and enjoys working on tasks with many moving parts where he can learn many different skills at once. One day, he hopes to make a positive difference in impoverished communities in underdeveloped countries. James Trotter is an Applied Computer Science major and was hired as a Student Test Engineer by CASS in October 2018. He likes working on creative projects that involve writing. In his spare time he enjoys long distance running, reading, and music—he plays guitar and sings in the OSU Meistersingers. James’ favorite game is Runescape. He enjoys working as a tester at CASS to build career-related skills in a friendly work environment of peers. Jacob was hired in April of 2016 and is studying Computer Science with a Systems option. Jacob applied to CASS because he wanted to participate and create programs that would have real world applications and impacts after creating programs that would only stay on his personal computer. He hopes to make software development a career following graduation. 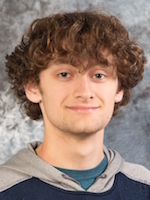 Dan came to CASS in June of 2016 and is majoring in Computer Science. Dan is passionate about learning and constantly expanding his skills in software development and he applied to CASS as a way to feed this passion. His favorite projects are ones that challenge him to find efficient solutions to difficult problems. In his spare time, Dan likes to rock climb and cycle. Hannah started at CASS in May of 2018 as a Student Analyst. She is studying Computer Science and hails from Eugene. She wanted to work at CASS to apply the experience she’s gained from classes in a meaningful way that simultaneously allowed her to work directly with industry. Hannah likes working on projects that she can watch grow and improve, especially if she can create a great user-interface in the process. Her skills include C, C++, HTML, CSS, organization, and writing. In her off-hours she likes to play board games, crochet, take care of her plants, and spend time with friends. She participates in KBVR FM student radio, and likes to play Animal Crossing. For her future she wishes to work as a software developer who travels the world, and gardens and codes in her free time. Taegan joined CASS in December 2016 and is studying computer science. He first heard about CASS from a freshman engineering fair and wanted to contribute to real world projects while gaining experience and knowledge in programming. In his spare time, Taegan enjoys playing video games such as Overwatch and is a great ice skater.